Not to be confused with another bath bomb that is exclusive to the Lush creative showcase event, which looks similar but it’s different and it’s called “Over and Over. Never Mind the Ballistics has a colored cocoa butter mixture that is sprayed on both sides of the bomb. The Lime, Orange, and Frankincense. Frankincense is one of my favorite scents. I absolutley love this bath bomb. I love the frankincense, i love passion fruit-like scent of the fruity notes. I love the creaminess of the banana, i love the color. It’s more moisturizing. These three Lush products below all have the same scent including Lush ‘Fun For All the Family’ Fathers Day 2018 bubble spinner and ‘Tunnel of Love’ Valentine’s 2017 soap. 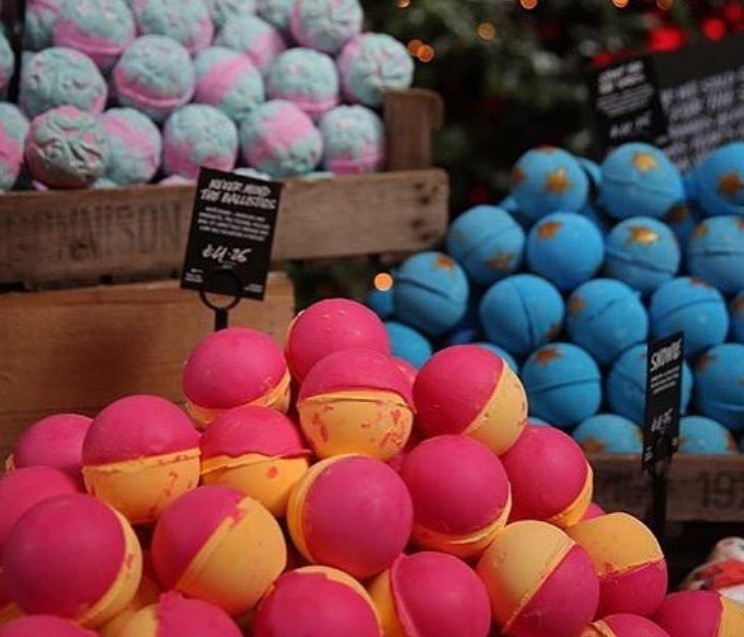 Posted on September 13, 2016 by Lushalot	• This entry was posted in Bath Bombs, Christmas 2016 and tagged Lush Christmas 2016, lush nevermind the ballistics bath bomb, never mind the ballistics, nevermind the ballistics. Bookmark the permalink.